HAZMA ESTABRAQ, brings you an all in one Estabraq experience. A complete set which maintains the pure and sophisticated signature of the fragrance of spicy fougere and ambery aroma that combines the top notes of bergamot, cinnamon bark and pepper. Middle and base notes maintain the balancing effect of cedar wood, geranium and woody scents. Estabraq is no secret to be one of Asgharali’s best sellers and one of the main reason to have it as a collection set is for the whole family to enjoy and to create the perfect gift for your friends and loved ones who have already been mesmerized and indulged with the estabraq products. 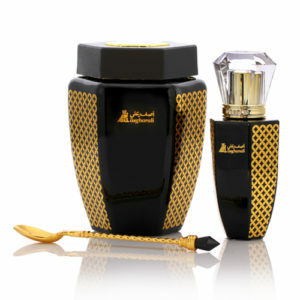 Worked in a version made of strength and contrasts for a warmer and more sensual fragrance. 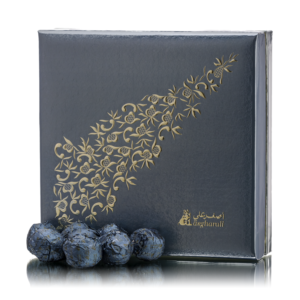 Included in the collection is 150gms of the ESTABRAQ BAKHOOR. 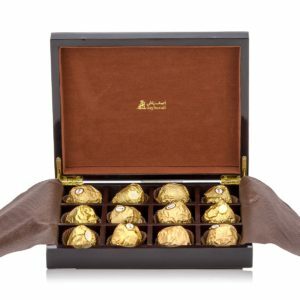 The usage of bakhoor has become a deep-rooted custom, from religious ceremonies, traditional weddings and festivals to its use in times of cheerfulness and with its natural fresh notes to enliven the senses. Part of the collection also includes a 100ml of ESTABRAQ BAKHAKH, which is faithful to the contemporary elegance, of the estabraq fragrance. Traditionally, Asgharali’s estabraq bakhakh is best paired with bakhoor’s smoke. 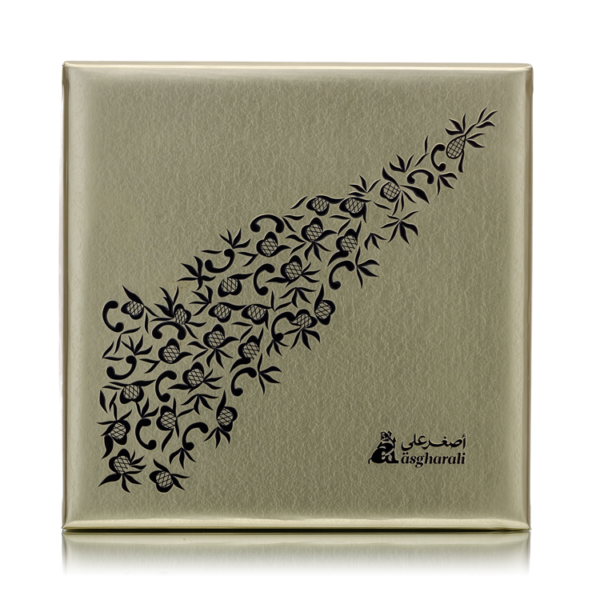 This way, it will reveal a real slender in tendrils and mesmerizing scent that will enhance the bakhoor estabraq aroma, permeating to the skin and clothing to create a lingering and beckoning trail of scent. Lastly, we have a 7grm, ATTAR JAMID ESTABRAQ, designed to be a compact and portable way to carry along the estabraq perfume in pockets or handbags. This is used by rubbing into the fragranced wax and then to the skin, best paired with the estabraq bakhakh, to retain the scent that will last longer and would be the best accessory for anybody to wear, both for men and women alike. 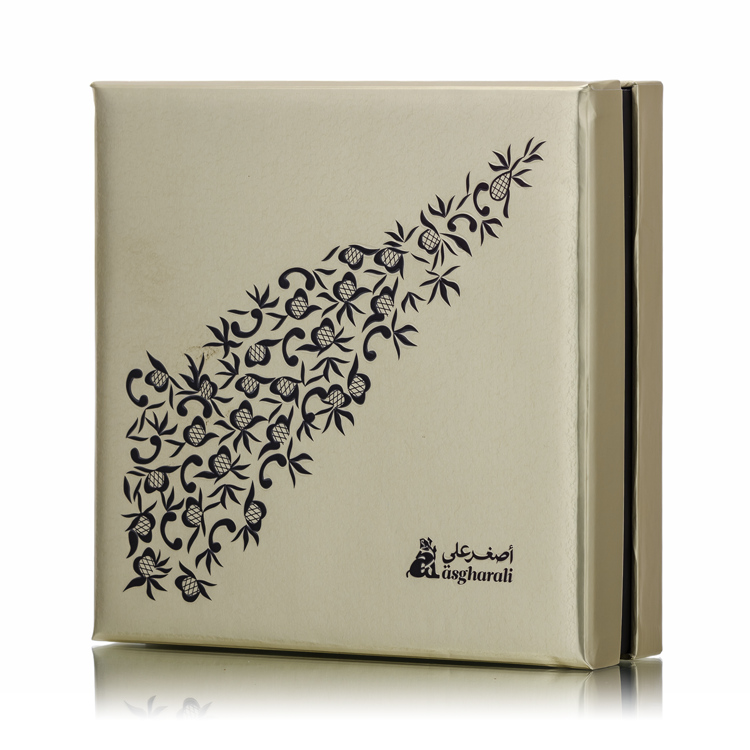 From dawn till dusk, experience a warmer and sensual estabraq fragrance with the complete Hazma Estabraq Collection.